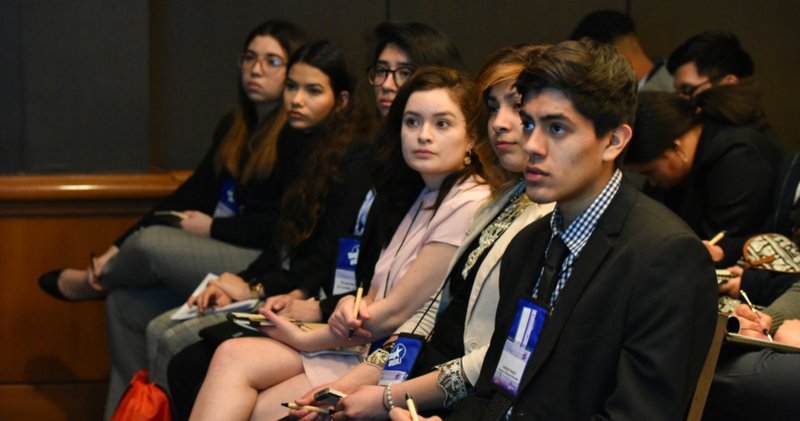 Submit Your Workshop Proposals for the 37th USHLI Conference! Download our infographic to learn more about our conference participants. All workshops should be 75 minutes long: 60 minutes for the presentation and 15 minutes for a Q&A session. Presentations need to be in PC compatible format. In the event we encounter technical difficulties, please bring your presentation material on a flash drive. Each presenter is responsible for bringing his or her own laptop, and Mini DisplayPort to VGA adaptor for Mac computers. USHLI will provide presenters with a screen and LCD projector to facilitate the presentation. Wifi is not accessible in the workshop rooms. Workshop presenters are responsible for the reproduction of any handouts. Proposal deadline: January 22, 2019 at 11:59 pm (CST). Schedule: Friday, February 15 and/or Saturday, February 16, 2019. If you have any additional questions, please email Laura Bedolla, Operations Manager & Policy Analyst, at lbedolla@ushli.org. Previous Previous post: Scholarship for Young Hispanic Leaders Now Available for 2019-2020! Next Next post: Denny’s HFE Campaign & USHLI Partner to Award Scholarships!